Used with permission from Quilts & More™ magazine. ©2019 Meredith Corporation. All rights reserved. I have been working on a project for months that I can finally share. Quilts and More has asked me to design four seasonal themed mini quilts! The first "Festive Foundations" quilt is Spring themed and includes three fun blocks. Used with permission from Quilts & More™ magazine. ©2019 Meredith Corporation. All rights reserved. 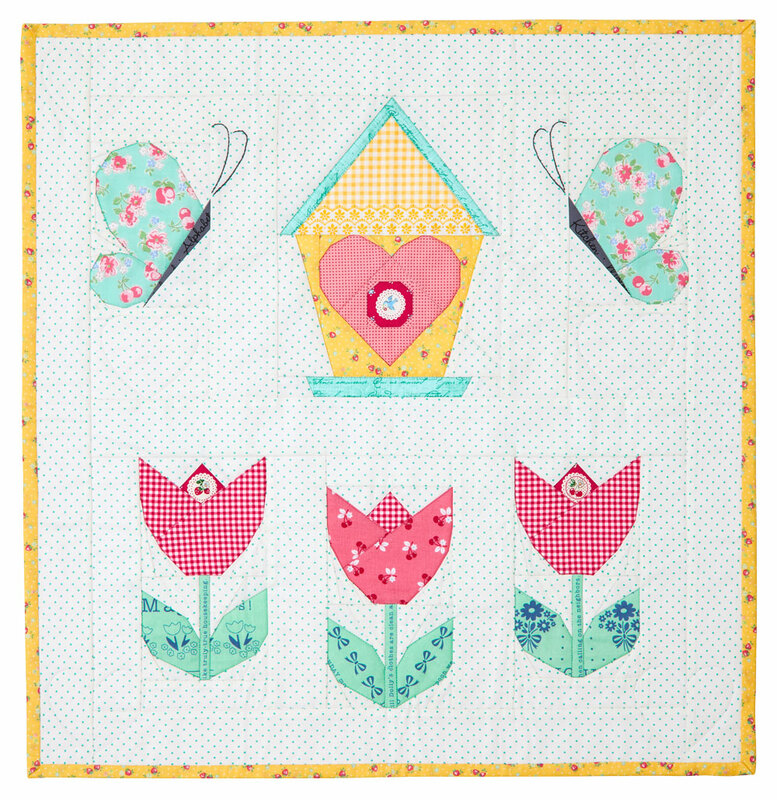 The blocks include the tulip, butterfly and bird house and are all foundation paper pieced. The individual blocks would also be perfect to use on individual projects such as a tote bag or pillow. 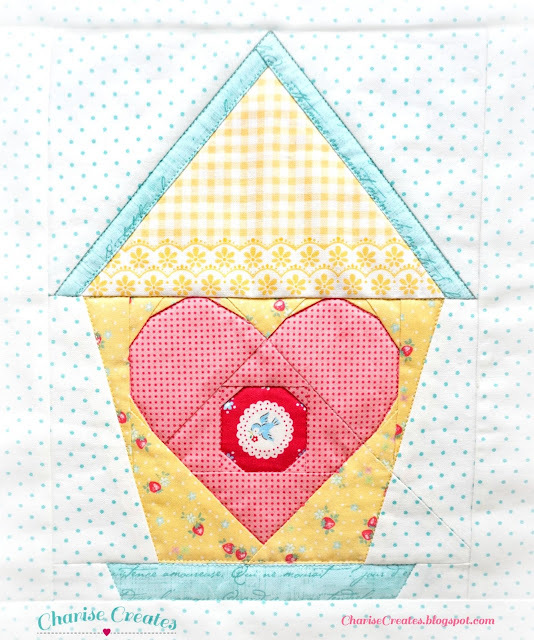 This project uses fabrics from my stash with some fun fussy cutting opportunities. If you haven't paper pieced before, check out his video from Joanna at Quilts and More as she takes you through the process. 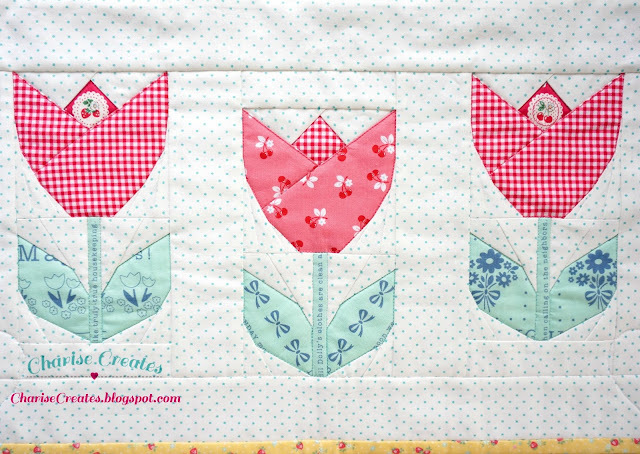 She also shares my method of Fussy Cutting so you can perfectly isolate a motif as I did for the cherry center on the tulip. Those blocks are fabulous, Charise! 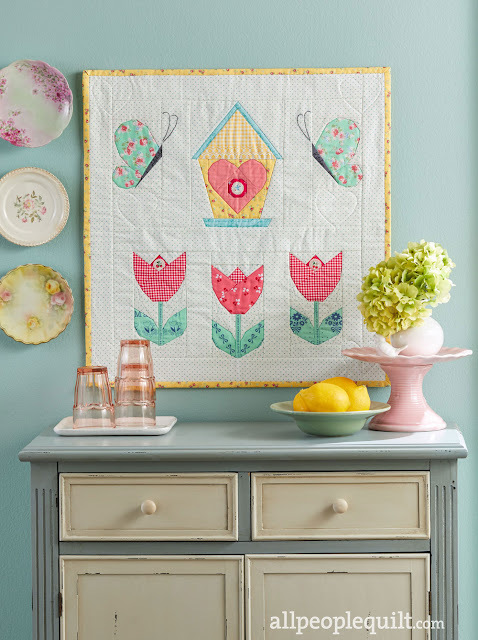 Your paper piecing achieves the whimsy and detail that I used to think you could only get with applique. Congrats on the magazine exposure! This mini is adorable. 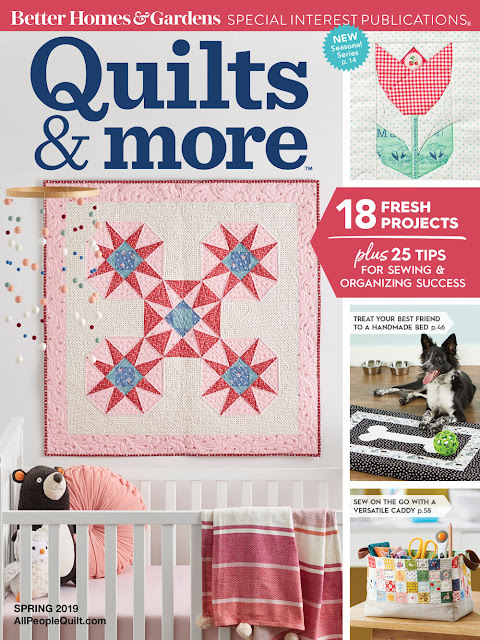 I'm going to be on the lookout for this Quilts & More issue. I'm sure I will love the future ones that you will have a pattern in, also. How fun to have four seasonal quilts--I will watch for the others as they arrive. But this one is a fun kick-off and shows off your paper-piecing skills, with great effect. Congratulations!